Line oven tray with tinfoil making sure mat side is facing upward. 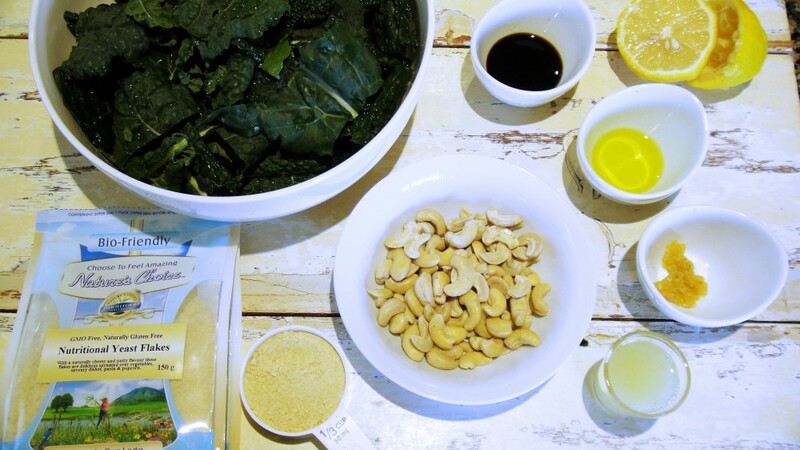 Drain cashews and set aside. 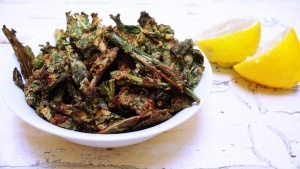 Trim stems from each kale leaf and cut leaves into “chip sized pieces. 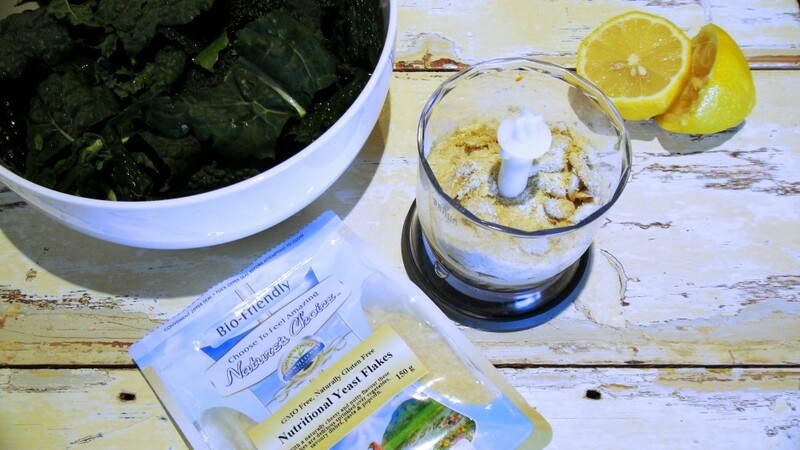 Combine cashews garlic, soy sauce, olive oil, Natures Choice Nutritional Yeast, (from Faithful to Nature Online Store), and lemon juice in a food processor. Blend for approx. 1 minute until smooth paste forms. 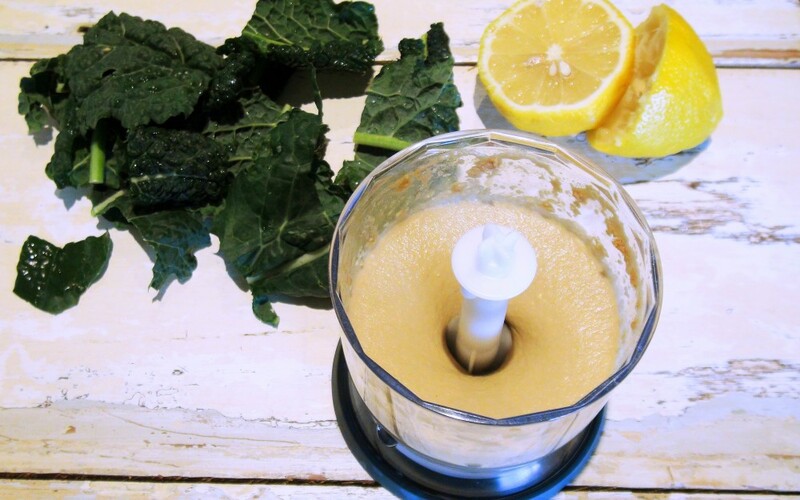 In a large bowl, combine kale with nutritional yeast paste and coat each kale leaf thoroughly until all pieces are evenly covered. I find it easier to use your hands when coating the leaves. Place kale pieces onto baking tray, allowing space between each leaf so that they don’t overlap. 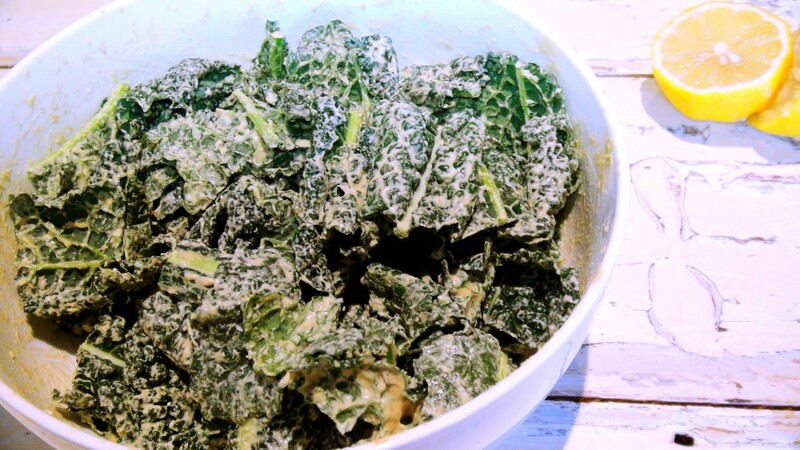 Bake kale until crisp and completely dry – between 15-20 mins. Be sure to check continuously, tossing in between to ensure even cooking throughout. Once kale pieces are hard, crisp and dry, remove from heat. Allow to cool for 10 mins. Place in serving bowl and enjoy. 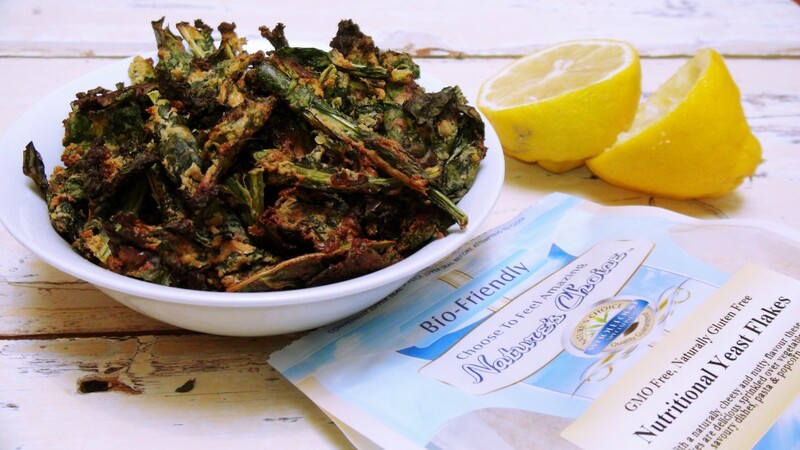 You can also make these kale chips in bulk and store in an airtight container. Keeps for up to 1 week.